About a year and a half ago, around the time that I had just gotten back together with EXBF (Part II), when I was really struggling with my job and feeling depressed, I decided to go on the anti-depressant Lexipro. I didn't notice anything at first, but after a few weeks I realized that I had gotten into the habit of playing spider solitaire. I don't mean just a few games. I mean playing games and games of spider solitaire for hours at a time. I remember one night where I played almost 4 hours. I kept losing and trying again, or winning and trying to beat my score. This was before blogging and knitting, and before I understood how to identify when I was feeling anxious. After a couple of weeks, I happened to mention to CG what had been going on. She was immediately interested in my sudden change of behavior, a change that had corresponded with going on the medication. Prior to Lexipro, I had played spider solitaire on occasion, but usually only when I was visiting my Dad in Texas. It's an addictive and competitive game and he loves it. During that time, when I got totally hooked, I was really anxious. I was so stressed out about work that I couldn't really work. I was overwhelmed and instead of tackling each piece step by step, I played spider solitaire and ate up hours of my days. I'm not sure if it was the stress or the Lexipro that was responsible for all the solitaire playing, but I do know that the Lexipro didn't help matters. Soon after discussing it with CG, I went off of it and my solitaire playing calmed down. Since then, I've been off and on another low-dose anti-depressant from time to time. I'm not a fan of taking pills, and I believe firmly in the idea of working through problems in therapy, as opposed to drugging oneself, as a long-term solution. However, after trying medication this past year, I now understand the benefits of medication. Not as a long-term solution, but as a temporary solution that can help you work through all of the junk you need to in order to get to a better psychological and emotional place. One of my friends recently said, while we were discussing the topic of medication, that she would not want to be drugged in order to deal with her problems. Her view of medication, I think, is that it temporarily eliminates feelings, and creates an alternate, less stressful or less painful, make-believe reality. From that perspective, medication is not something that helps one deal with reality, but rather something that hides truth under a layer of artifice. I was afraid of something similar when I first tried medication, and in the early months I questioned how I was experiencing being on medication all the time. For example, when I felt less anxious and less sad, I doubted my feelings and talked to CG about my fears that what I was feeling was not real. I worried that I was "not sad" not because I was actually happy, but because I was on drugs. It was a scary thought because I don't want to live my life in a delusional la-la land, and I certainly didn't want to be figuring out serious life issues like the fate of my relationship and my career with emotional blinders on. When EXBF and I broke up, I had just recently gone back on an anti-depressant. Between all of my problems with him, and all of the stress from my job, I had been in a bad place and I had been crying on an almost weekly basis - usually because of things he had done that made me feel insignificant and unimportant. One of the things I'm still angry about is that he kept hurting me, even though he saw what his actions were doing to me. He was so selfish and unkind. But that's a different subject. I'm glad I was on an anti-depressant during the break-up because, looking back on it now, I realize how fragile and vulnerable I was at the time. Thankfully, I had a lot of support, mainly from my family and friends. But, therapy and medication were also a part of that support. At no point have I felt like being on medication has dulled or obscured any of my true feelings. It hasn't irrevocably changed me, turned me into someone else, or blinded me to things in my life that are a source of happiness or pain. I was on medication when EXBF and I broke up but I still cried for weeks. I still felt like my heart was being ripped out of my chest when I thought about losing the future I had thought we would share. The medication also didn't stop me from getting annoyed and angry with my brothers over Christmas when they drank too much, getting sad for one of my friend's recent losses, or feeling a ton of anxiety about work. Nor has it stopped me from feeling incredibly happy about all of the positive changes going on in my life, and all of the wonderful people I'm lucky enough to have in my corner. The medication helps me muddle through my emotions, and helps me keep my anxiety in check, but it doesn't eliminate anything. Everything I would feel were I not on medication is still there, and I still feel it. That's why, on occasion, I find myself picking up my mouse and starting up another marathon game of spider solitaire, as I did tonight. This afternoon, I learned that I had received an offer from the law firm that I liked the best (Bachelor #1). The firm will want an answer by 3 weeks at the latest, so suddenly I'm back to having a countdown. If I decide to go with this firm, I will give my two weeks notice in less than 21 days. I could give my two-weeks notice next week if I wanted to. Initially, when I got the call, I treated it like I usually do really good news: I felt relieved. A few minutes later, I felt a rush of elation and started thinking, I'm almost free!!! Then, a few hours later, the feelings of panic and uncertainty set in. In addition, I have to admit that the dating thing is also making me feel a little anxious. What about if I actually end up liking someone? Do you understand that my heart is still crushed? Although in practice (so far) dating has been fun, no one knows what's going to happen. Likewise, no one knows what's going to happen in this new job, in the event that I decide to take it. It could be a wise choice, or it could be a stupid one, but there's no way to know except to just do it. It's intensely nerve wracking. Where are the spinners of my destiny when I need them to drop me a few hints? So there you have it. I'm slightly anxious about the idea of dating, and I'm really anxious about making a change at my job, even though a part of me has wanted to leave for over 2 years. Even though everything is going well, and I'm making great progress, I'm so anxious that I've been playing spider solitaire, in my chilly bedroom, for over an hour and a half while the TV is playing downstairs. Clearly, I need to be more heavily medicated. That, or I need to start going to yoga on a regular basis, get a new book, buy those 7-sized knitting needles so that I can start my new project, or go to the gym instead of waiting for the handymen who don't show up to repair my skylight. I know what CG is going to say already. She's going say, "Change is very stressful; even good changes bring stress. Don't you think it makes sense that you were feeling a little anxious once you found out that you were going to have to make a decision about a new firm?" She's so smart. 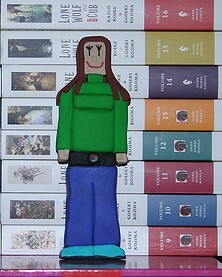 For tomorrow: Pilates, running, another interview, a NEW LOST (!!!!! ), and no spider solitaire. Congratulations on the offer. CG is right-- even good changes can be incredibly stressful but it is still totally awesome. I had a very severe spider solitaire addiction myself. The only way I kicked it is by deleting it from my computer. I just couldn't balance work, school and spider solitaire. Bubbles, You just made me giggle. 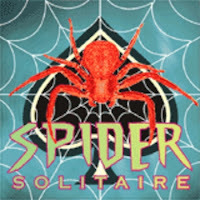 Ok, I'm glad I'm not the only one with a severe spider solitaire addiction. Thanks for the well wishes, also. I'm overall happy... just a teensy bit nervous. Ahhhhh. I'm almost free (but then what...?). B., Congrats on the offer AND the interview and on being so "in touch" with what is going on. I can imagine that all of this change must be stressful, I think you'd be totally abnormal if you didn't think any of this was stressful. For what it is worth...I think it's important to remember that you always have choices....yes, some of them are hard and take a bit longer to extricate yourself...but you can always choose change. For example, if you accept a new position, and find that it's not your dream job...you can learn from it, deal with it and then work on plans that will be more fulfilling. As an educated woman, choices will always be available to you in your professional and personal worlds. Good luck in trying to figure it all out....lemme know if you do! I can tell you for one that I certainly haven't! Congrats!! That's wonderful news! I know it's stressful, and CG is right -- all change can be stressful. But you did it! :) I'm proud. Way to go, Buttercup!! Of course this is stressful, as CG said. But I know you will work through it with grace and courage and make a decision that is right for you. PS You know already that I wholeheartedly agree with your thoughtful discussion of the benefits of occasional medication. *hugs* for you, Buttercup! I so wish I were in NYC right now because I would take you out for a cup of hot tea and we could talk, talk, talk, talk, talk! Congratulations on getting an offer from Bachelor #1! I already feel better imagining you at work in a healthier and less toxic work environment. I agree with CG. Your anxiety is totally understandable, given your current circumstances. I was playing Spider Solitaire just this morning. I was bored at the VW dealership though. Congrats on the offer. I'm about to get one too. And yes, even good changes are stressful! Congrats on the offer, Buttercup! Obviously one is always nervous changing jobs, but guess what, one can always leave if it is too horrible. You seem to have asked the right questions and have a good idea of the workings of the new firm...go with your heart and instinct. Good luck!